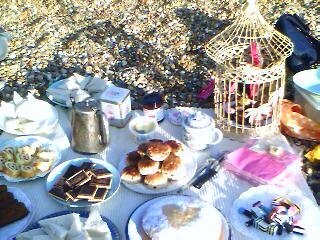 Well, the afternoon Tea Party went down a storm on Sunday, with cakes, Assam and ginger cake galore. It was a magnificent afternoon, the weather holding out, and the sun daring to shine. We all wore our Sunday best and I even put on a bit of Edith Piaf and Django Reinhardt to add to the atmosphere. An eccentric affair, the kind that always bring the biggest smile to my lips. 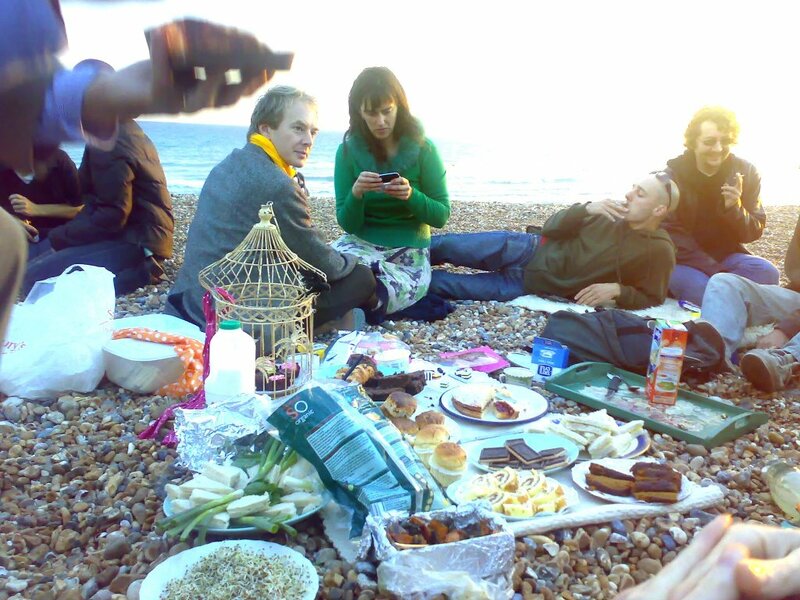 More afternoons should be spent like this - there is something poignantly beautiful about such a spread on the beach, with all your friends, watching as the sun sinks behind the horizon and Summer ebbs its way from the tides of the shore. I finally have some more time off, so today I am working on a song at my keyboard. Oh, the joy of solitude. The beach, friends, food and the sinking sun are all one needs, really. Love the sound of your picnic.